a definite "oops, I did it again" moment. I picked out this dress off the sale rack at Anthropologie with no desire to buy it. It was too formal for everyday use and thus an impractical purchase, but once I put it on, I instantly knew I had to have it. 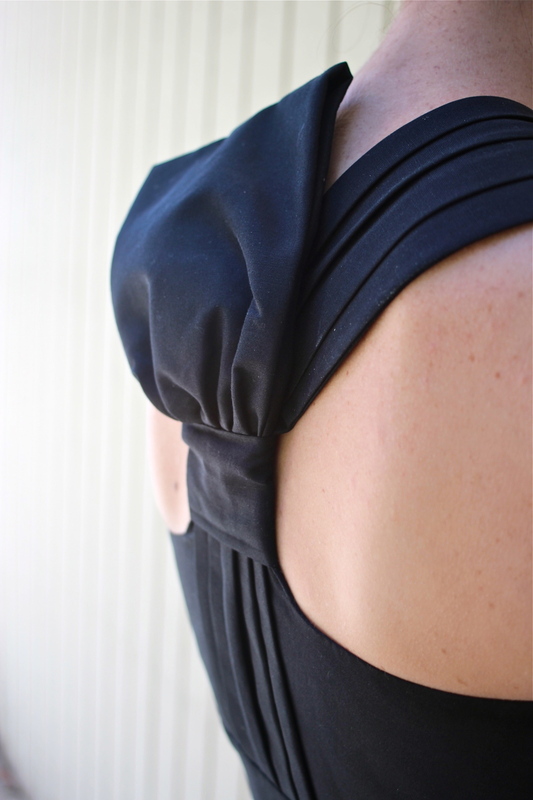 I love the shape of this dress with its interesting structure and beautiful back detail. It looks very eclectic, while still maintaining a modern aesthetic. This was the first time I've worn this dress, and I have no idea why I haven't gotten more use out of it! I can't wait to style it in different ways. It will be a bit difficult, since it is such a statement piece on its own, but I am always up for a challenge.